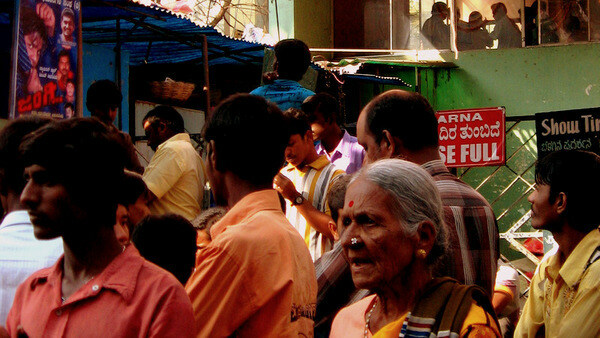 Black Market: Black market ticket sellers outside Bangalore's stand alone theaters. 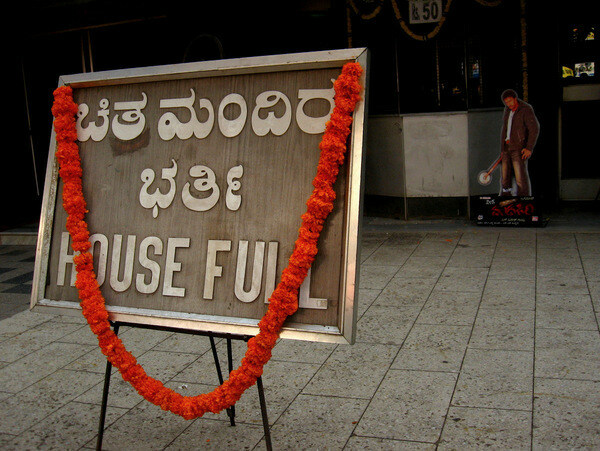 A 'House Full' sign is welcome these days in the standalone theaters in Bangalore's Gandhinagar area. 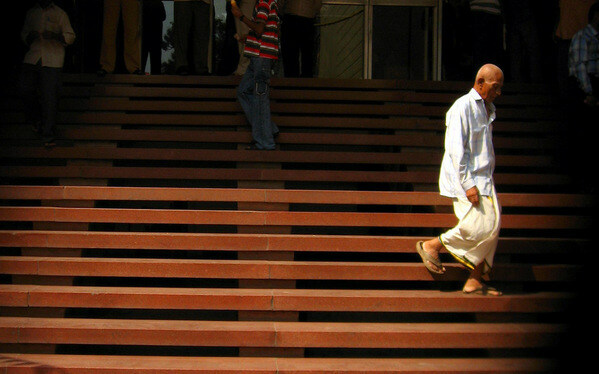 Gandhinagar is home to the Kannada language film industry or Sandalwood. A film industry that's distinct from the 'Bollywood' or the more famous Hindi film industry. The usual threat of internet, pirated DVDs and multiplexes have made the life of standalone theaters difficult. 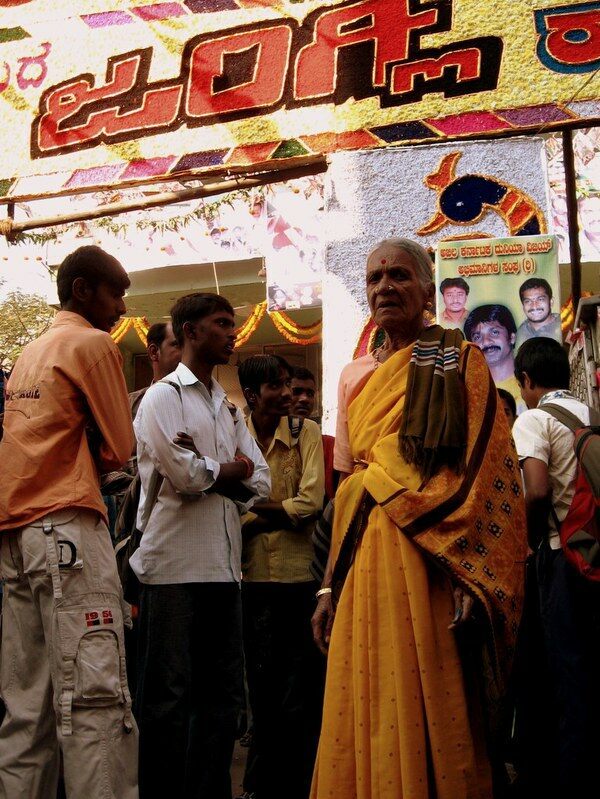 That's the reason, the House Full board outside a theater before the first day, first show has been garlanded. A 'House Full' sign is a godsend for some. Especially the old and handicapped and sometimes homeless, who can make a few extra bucks by selling tickets to fans who are willing to pay more to watch the movie. Once upon a time, when movie halls used to full for weeks after a release, the black market tickets were always sold by the local goons. There was more money to be made. 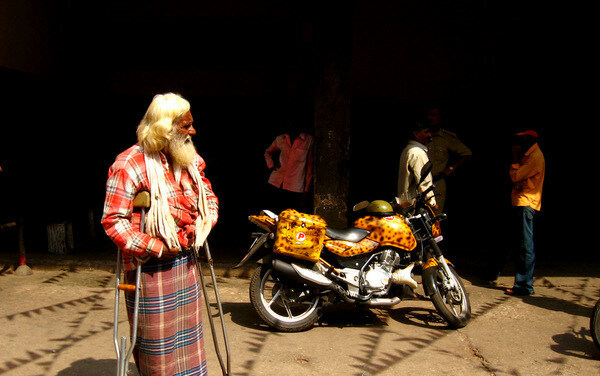 These days, it's the old and the handicapped who sell tickets. Luckily for them, the cops usually a turn a blind eye. But not always. 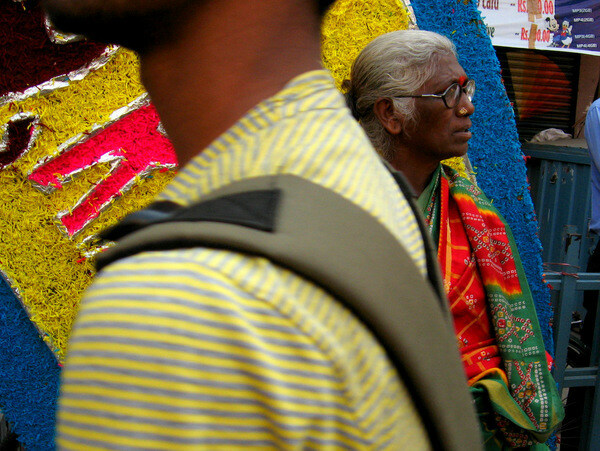 This man was turned away from the ticket counter because, the people at the box office know these people and usually sell a few, fixed number of tickets to a few of them, to sell in the black market.